I always thought Mario’s sprites throughout the NES games got more expressive as the developers got better at pushing the hardware. Looking at it here, though, it’s just different reshufflings of the sprite size and the NES’ three-color per spire limit. The main trick they seem to have found is to make his hair darker, so that they can re-use the color as an outline, which does give it a more defined, cartoonish look. It’s still a clever trick, but not quite the mind-blowing graphical upgrade I seem to remember from my childhood—though that may have been inflated by the insane hype-train for Super Mario Bros. 3. Between the schoolyard, Nintendo Power, and its unveiling in the big finale of The Wizard, it seemed like the Second Coming Of Mario at the time. Maybe it wasn’t the inclusion of extra detail, but the inclusion of extra sprites that impressed young you? Take a look at the differences between the Super Mario Bros. sprite sheet and the Super Mario Bros. 3 sprite sheet for Mario. The SMB3 sheet seems to capture pretty much everything in the original sheet, but it also has extra sprites, like an intermediate stage between standing and full-out run and that swan-dive-esque jump animation that only plays when the P meter is full. There are also slight differences in the running sprites that give Mario’s body the appearance of turning from side to side, which is completely absent in the original. I think it’s the combination of those few extra sprites and the subtle tweaks to indicate motion that make SMB3 look so much more impressive. Throw in the tail animations for the Raccoon Suit and the hat grab when Mario ducks, and you’ve got a charming new iteration on the classic sprite. Mario’s mustache doubled back then (and still works today) as a sign of joy. The fact that they made it curve upward gives the impression that he is constantly smiling, like he’s enjoying his job. That helps the player have fun. And it didn’t stop back then; nowadays, his mouth is subtle. It’s not deeply shaded, so it’s hard to notice that it’s there at a quick glance. But that dominating mustache draws the eye and conveys happiness no matter what. For example, look at his selection icon in the latest Smash Bros. He still holds a serious expression, which matches up well with the game’s tone of being serious, but at the same time, he looks so happy, you just can’t wait to play with him and have a good time. 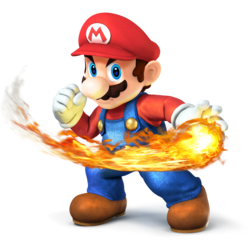 Mario’s mustache has also been a defining characteristic in dialogue for the Mario RPGs. 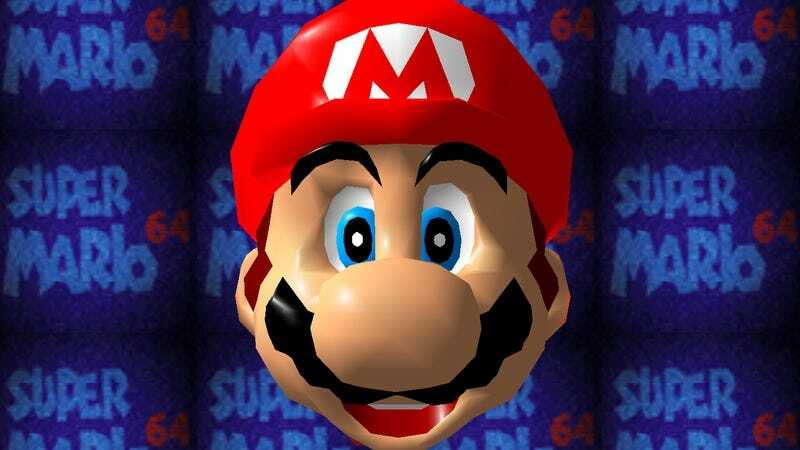 Characters often times recognize Mario not by his overalls and hat but by his facial hair. Many comment on the strength and bushiness of both Mario and Luigi’s mustaches, making them the key to their identity. In the Mario And Luigi series, “Mustache” is one of your stats that you can increase upon leveling up, giving you better luck and earning discounts in shops. I would even say that it is a somewhat Freudian, phallic concept in the RPGs. Just look at how it goes down when Luigi’s mustache is insulted. Yep. No compensating there. Oddly, the first time a sprite’s hair really made a conscious impression on me was during the final Bowser fight of SMB3. He would jump around the stage trying to land on top of you, and as he was dropping, the tuft of hair on his head would stand up and appear to be waving around as if blown by the air rushing past his face. That seemed like a really neat dramatic touch, emphasizing Bowser’s movement in a way that made his attack seem quicker and more threatening. Looking at a video now, it’s surprising to see how subtle the effect actually is; at the time, it really stuck out as being an unusual level of specificity. What Pillars Of Eternity suffers from is “Pilot Episode Syndrome,” with this being the necessary but scattered introduction to the world Obsidian made. Part of that is down to the scope, which while impressive for its budget, is limited. It is a small and deceptively linear game, but it is beautiful, coherent, and promising if nothing else. Take the companions, for example. You can definitely look at them the way Nick does, as products of more modest aims, but they are by some measure the least vivid and personable of the companions that Obsidian and Black Isle have created over the years. They aren’t given a ton of room to breathe. After a few talks and a side-quest, their stories are over. Given how short their arcs are compared to the game as a whole, they feel too modest. The biggest thing missing might be a loyalty/influence system like those present in nearly all other Obsidian games. I expect one to show up in the sequel. More Like Star Bores! …What? I had the dubious pleasure of getting into SWG‘s second wave of alpha invites. I nearly lost my mind with glee when I received the 4 CD-ROMs the alpha install came on. I interacted with Raph Koster a couple of times during the alpha testing phases; for the first couple of months, the alpha was active just for a couple hours each Saturday morning when they turned the servers on. They had us run around, interact with the world, do basic combat stuff, etc. The problem with the game—and I don’t know if this was Koster’s fault or not—was that it essentially turned into an economics simulator. Combat was unbearably sluggish and not fun. But there were all sorts of options for building shops and factories out in the wilderness and making elaborate variations on clothing, medical supplies, and the like. The devs also went on and on about how awesome the procedurally-generated landscapes were. At first, it was kind of impressive, these vast lands with mountains and valleys and lakes and foliage everywhere. But after a while of running around in it, it just got dull. It was mile after mile of nearly empty landscape, with some creatures scattered around and nothing in particular to do aside from randomly generated quests to go kill N of creature X. The Holocron thing was also extremely disappointing, mainly because they spent monthstelling us that: 1) The way to become a Jedi would be a secret that we’d have to figure it out on our own. 2) No matter what we guessed they always said we’d guessed wrong. 3) It just turned out to be that you had to master several random professions and then for some reason that meant you could start working on being a Jedi. And that does it for this week, folks. Thanks for reading and commenting. We’ll see you again next week!